To construct an angle, you will need to know how to use a protractor. Let’s first review some important angle vocabulary. 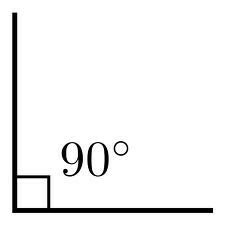 A right angle measures exactly 90°. An acute angle is less than 90° but greater than 0°. 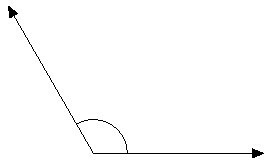 An obtuse angle is more than 90° but less than 180°. Here are the steps on how to use a protractor to determine the measure of an angle. If necessary, first extend the lines of the angle using the straightedge of the protractor. Line up the middle of the protractor with the vertex of the angle. There is usually a small line, a point, or a hole on the protractor to mark the middle. Line up the bottom line of the protractor with one of the sides of the angles. Make sure the vertex remains in the center. 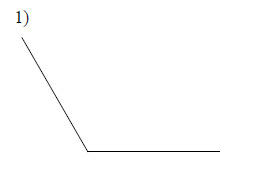 The measure of the angle is the number that the remaining side of the angle crosses at. Use the larger number if the angle is obtuse or use the smaller number if the angle is acute. Here are the steps on how to use a protractor to construct an angle. Use the straightedge and draw a straight line. This will be one side of the angle. Line up the middle of the protractor with an endpoint of this line. This will be your vertex. Make sure the side is also lined up with the bottom line of the protractor. Locate the degree measure that you want your angle to be. Make sure your angle opens wider than 90° if you want an obtuse angle or less than 90° if you want an acute angle. Draw small tick mark at the desired angle measure. Using the straightedge, connect the vertex with the tick mark. Construct a copy of each angle given. 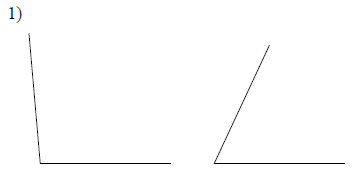 Construct an angle whose measure is equal to the difference of the measures of the angles given. Construct an angle whose measure is equal to the sum of the measures of the angles given.